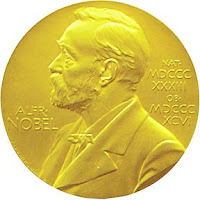 Think you know who will win the Nobel Prize in Economics? Willing to put your money where your mouth is? Then click here. If you are looking for some suggestions, click here for a list of the most cited economists. Note that 6 out of the top 10 have already won.